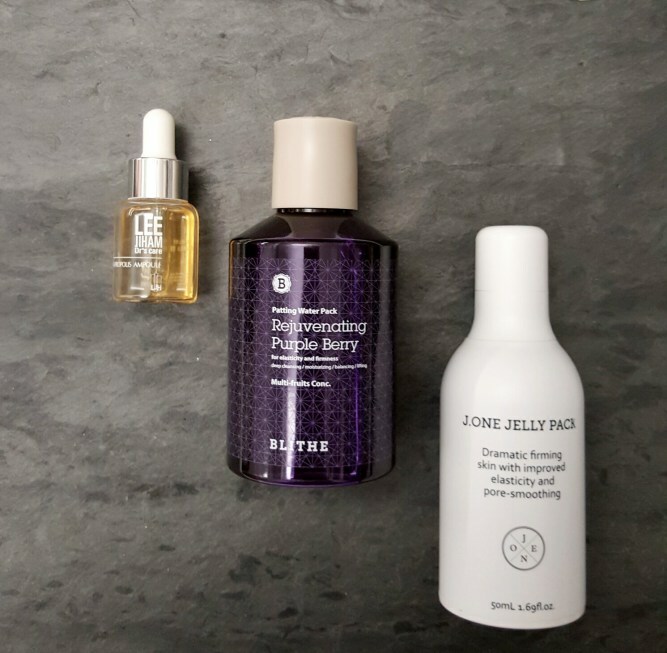 Blithe Pressed Serum from Glow Recipe is the perfect addition to my minimalist aesthetic. If you’re one of those women who crams all your beauty products in a drawer, it’s time to see the light and get your vanity beautified. After all, skin care shouldn’t be a chore — it may well be one of the few moments in your busy day that you take just for you, to care for your skin and invest in yourself long-term. So why not create an atmosphere of calm, an oasis of sorts? Place a mirrored vase with peonies in your bathroom. Have your favorite smile-inducing songs on repeat on your iPad. Light a scented candle as you pamper your skin. My favorite thing to do is display my prettiest skin care products on my vanity so that every time I walk into the bathroom, I can’t help but smile. These days, packaging has gotten so good, it’s not difficult to build a collection that not only looks pleasing but speaks volumes about your personal aesthetic. So whether you’re a minimalist or full-on glam, a nature lover or a fashionista (or if you’re just looking for a gift for one of the above), take your first steps to transforming your boudoir with some of Glow Recipe’s chicest goodies. 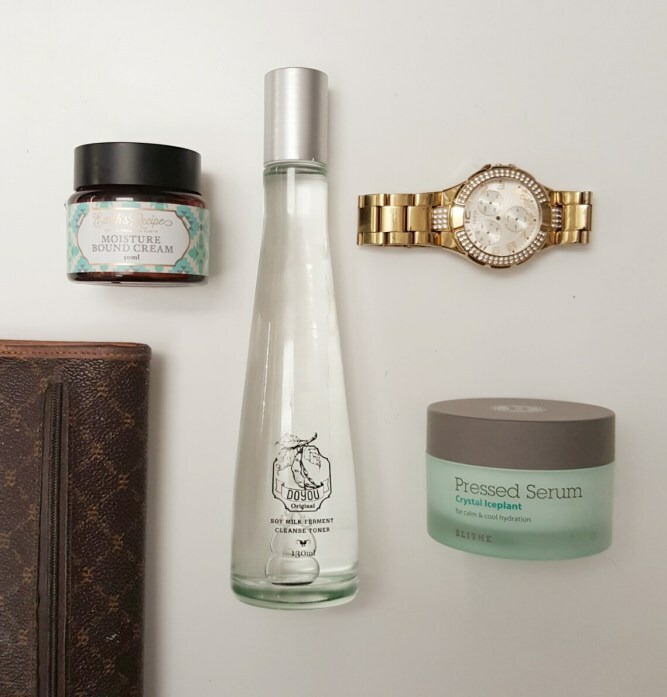 Just because you’re a girly girl doesn’t mean your skincare products can’t pull some punches. 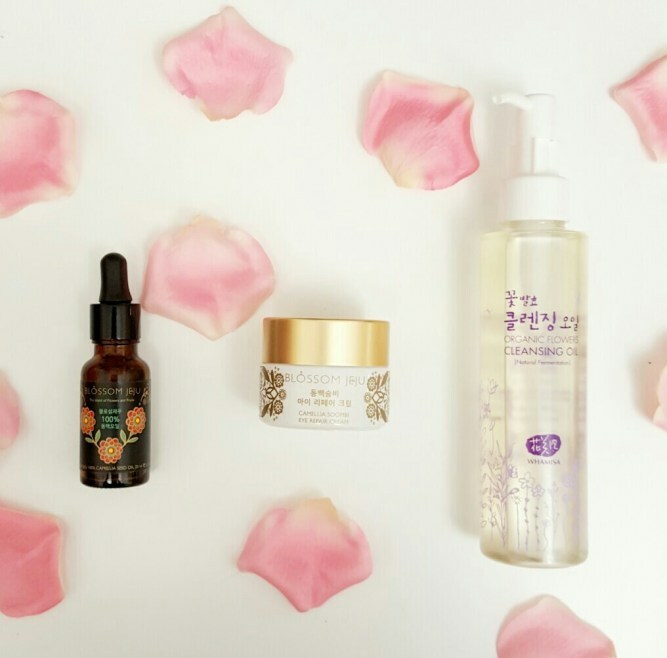 Blossom Jeju 100% Camellia Seed Dry Oil: With the cutest little dropper top and a gorgeous lotus flower design, painted by the founder’s mother, this antioxidant-packed 100% oil is one of Glow Recipe’s best-selling products, and for good reason. 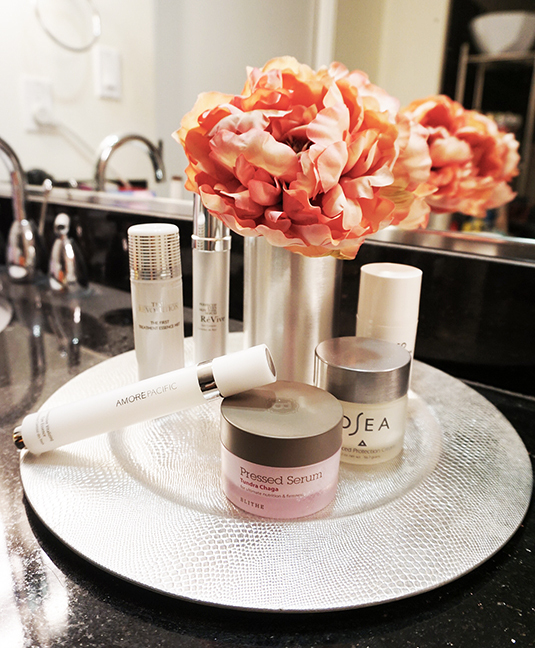 If you really want a super-easy vanity makeover, just get the entire line, and you’ll be set. Blossom Jeju Camellia Soombi Eye Repair Cream: A golden trinket for that delicate lash area of yours, this antioxidant packed eye repair cream delivers intense nourishment and fortification to the gentle skin around your eyes to ensure undeniably bright eyes and a radiant complexion. Whamisa Organic Flowers Cleansing Oil: Perhaps the prettiest product ever made to fight the ugliest manifestation of the skin: the pimple. Because a great look doesn’t stop at one’s shoes. After all, good skin never goes out of style. Earth’s Recipe Moisture Bound Cream: Brightening tremella mushroom and white jelly natural herbs keep skin runway ready. Primary Raw DoYou Soy Milk Ferment Cleanse Toner: Sleek & chic in its design, this lightweight toner works to gently lift impurities from skin while driving in hydration and soy milk ferment for a healthy, glowing complexion. Blithe Crystal Iceplant Pressed Seurm: This unique spin on the moisturizing and serum step of your skin care routine leaves the skin looking rejuvenated, supple and positively radiant. Austere and serene the packaging may be, but there is nothing simple about these powerhouse products. LJH Vita Propolis Ampoule: Think of this as a juice detox in a little ampoule — there’s a reason it’s one of Glow Recipe’s best sellers, and it’s not just for the cool, clinical-looking dropper (though that certainly helps). Blithe Patting Splash Mask: A true minimalist in form as well as in function — 15 seconds is all you need for this mask of lactic acid and botanical extracts to re-texturize skin. Glow Recipe J.One Jelly Pack: A morning mask, treatment and primer-in-one with a unique jelly texture. Hey, if it’s good enough for creator Ha Jiwon, the popular K-drama actress, it’s definitely on my list. This last category is a bit of a cheat because frankly, most of what Glow Recipe carefully curates is a nature lover’s dream. 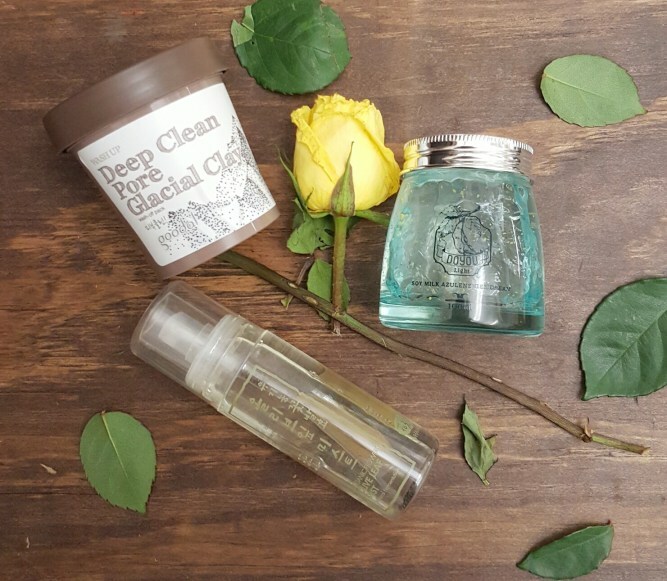 Goodal Wash Up Deep Clean Pore Glacial Pack: In what looks like a little tub of gourmet ice cream is a mixture of Canadian glacial water, glacial clay and green tea extracts — just scoop it out and apply to purify. Because even au naturel doesn’t have to mean enlarged pores. Whamisa Organic Flowers Olive Leaf Mist: Bring the garden into your boudoir with this facial mist, which has an actual olive leaf in the bottle. Hey, it doesn’t get much more nature-inspired than that. Primary Raw DoYou Azulene Gel Cream: In a too-cute glass jar enclosed with twine, this gel cream contains microbeads of azulene, distilled from steamed chamomile flowers, suspended in a hydrating gel cream of bamboo sap. Don’t be surprised if your skin eats up this nutrient-packed treatment. So which beauty type are you? I’d love to know! Because whatever your aesthetic, we can all agree on one thing — we’ve got to get our glow on! Written by me, originally published on Glowrecipe.com. Impact photo by me; all other photos courtesy of Glow Recipe.